What is a Waste Management Service? 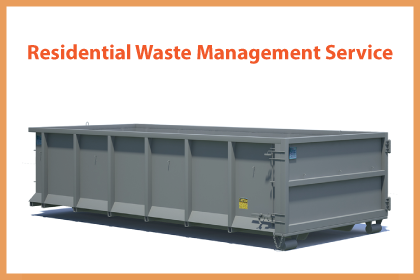 Need waste management services for your construction or renovation project? Trash King has you covered, with a wide assortment of sizes and affordable prices that are bound to fit your budget and meet your needs. Be sure you have a bin on hand for immediate disposal of nails, tiles and other materials that can easily start to pile up. If you’re gearing up for a project that’s going to produce a lot of waste, be sure you’re ready for the scope of your disposal needs with a bin rental. A construction site is not the only place you’ll find waste bins. Homeowners often find that the convenience of a bin rental in Langley is often the best way to dispose of unwanted junk, especially during spring cleaning or home cleanouts. been a while since you’ve gone through your garage, attic or the corners of your home, consider a mini bin for quick delivery and prompt haul off when you’re through. if you’re considering allowing it to accumulate until the job is done, talk to a seasoned roofer to find out what a bad idea this is. Immediate disposal of roofing debris is the safest way to keep your crew from the risks of stepping on, driving over and tripping over whatever is tossed off of your roof. What’s more, when the job is done, Trash King will promptly collect and haul away your debris. What could be better than that? Choose local when it comes to waste management services. Trash King provides full waste management services. Whether you need a waste bin at your home, business or construction site, call the specialists who will get it there fast and get it back off of your premises just as fast. No one works as hard for their customers as Trash King does. For affordable waste management services get an online quote today and get the environmentally friendly and economical team of waste m...anagement experts on your next project. rash King knows the local laws snd regulations and will recycle your waste materials, keeping the vast amount of them out of your local landfill. Trash King estimates 80% of your waste will be recycled and repurposed so you can feel good about calling them for the removal of your garbage. If you are in the manufacturing industry or the medical field, you are bound to generate wastes that require special care during the disposal process. The wastes generated in such industries are not disposed like any other garbage in the landfills or simply discharged down the drains. Due to the delicate and dangerous nature of wastes in these fields, it goes without saying that they are beyond the scope of being handled by the ordinary junk removal companies or waste man...agement services. Giving the fact that most locals would prefer to support local business, why should it be any different when it comes to calling a company for a waste bin rental? British Columbia residents and business owners love Trash King because they care about the environment and about locals. Their affordable services are designed to meet a wide range of budgets and the needs of home and business owners alike. When you generate different kinds of wastes such as hazardous or medical wastes, you will require a company licensed in dealing with such kinds of wastes whenever you need disposal services. Getting such services from different providers may be very expensive, as opposed to hiring a full service waste management company that will take care of whatever kind of wastes you need. When you opt for such waste management services, you get a lot of peace of mind since you won’t have to worry ...about the authorities being on your neck on violation or improper disposal of wastes.You’ll love working with the local company that has been providing waste management service throughout BC and its surrounding communities for a long time. Trash King provides absolutely free delivery and pick up. Just call 604-433-5865 and you’ll have an affordable bin or dumpster delivered in no time. Use it for as long as you need to and call back when you’re ready to have it hauled off. If you outsource your waste management service to a full service waste management company, you will benefit from the turnkey services usually offered by such companies. It implies that you will get a walkthrough of all the steps in waste management as well as taking care of your environmental needs. Right from waste identification to document destruction to compliance with the necessary regulations such as OSHA, the turnkey solutions will take care of all these. With such an arrangement..., you will have only to deal with one company instead of multiple companies, each offering you with a different waste management service. Trash King is known throughout the community as a company that is dedicated to the satisfaction of their customers. They are fully licensed, bonded and able to meet your waste disposal needs, regardless of their size or scope. For more information, visit online at tk123-new.mystagingwebsite.com. Getting your waste management services from full service company will expose you and your business to wide scope of waste management related services. By getting involved in such processes, you will the tremendous and beneficial knowledge about the rules and regulations that govern the various steps and waste types. Additionally, should you have any questions about the processes in any kind of waste management service; you will have a free access to highly qualified and experienced experts wh...o will provide you with instant answers to your questions. Haha, just kidding, but here is some info that a moron wrote. 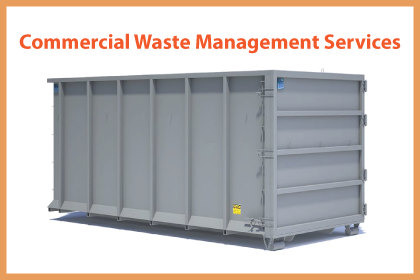 Liability in waste management services is always a very tricky affair and if you or your company is found to be liable, the fines or the damages imposed may be very heavy. But the other benefit of working with a full service waste management company is that you will not have to worry about liability issues because, in case of any mishaps or lawsuits relating to the transportation, management or disposal of the waste, the com...pany will be more likely to be insured, and with the ability to make smart legal decisions which will absolve you from any blame.